Meridian’s corporate kiosks can take on a multitude of tasks. 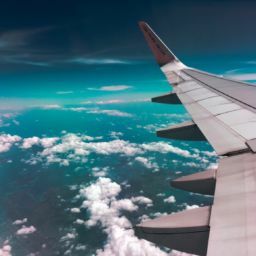 Whether it’s for employee and visitor check-in, building directories, or information sharing, they are a highly effective way to remove some of the administrative burden from employees and promote efficiency and inclusivity throughout the corporate environment. They can also be used to improve visitors’ experience on campus. 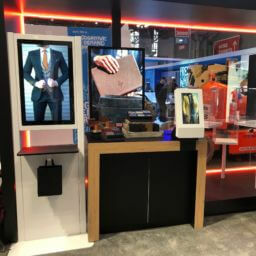 Whether they are present for a meeting or a job interview, corporate kiosks make it easier for visitors to get the information they need and successfully arrive at their destination. 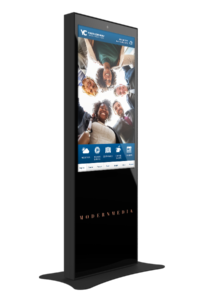 Meridian’s corporate kiosks provide controlled access to corporate campuses, office buildings, meeting rooms, and employees. Meridian’s corporate kiosks enable companies to promote information, events, offerings, and happenings by displaying interactive information. 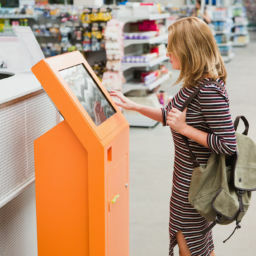 By streamlining simple processes, corporate kiosks allow employees to focus on more skilled tasks. Meridian’s corporate check-in kiosks help companies provide a secure environment for employees and visitors. 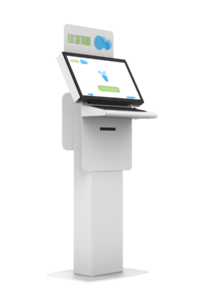 Visitors and employees can check in, alert the necessary parties, and print out required badges by simply using the kiosk. 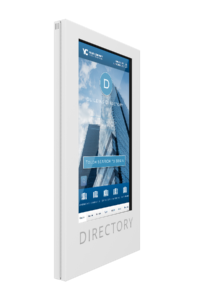 Virtual building directories help visitors navigate the building or corporate campus to find their destination. 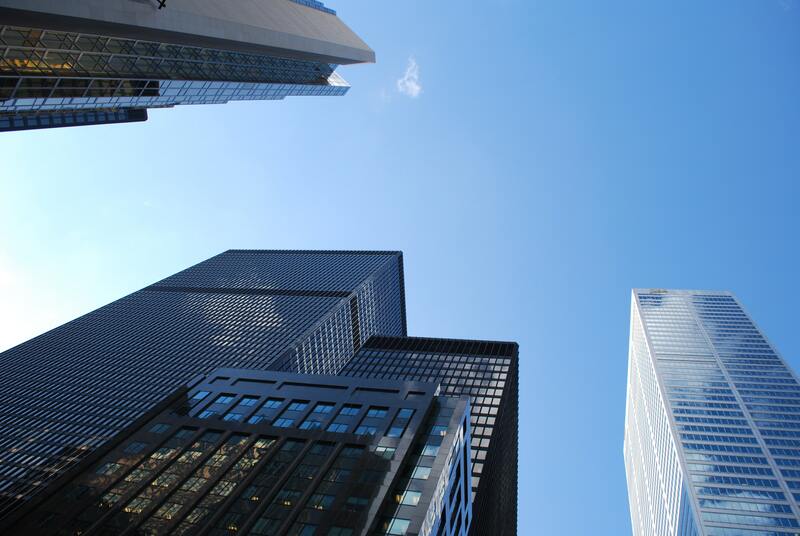 The directories are able to integrate with users’ mobile devices, print on demand, and have VoIP calling capabilities. 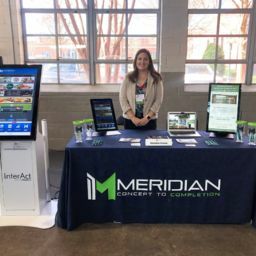 Meridian’s interactive digital signage solutions engage employees and provide a platform on which companies can promote events, highlight company offerings, and share information. 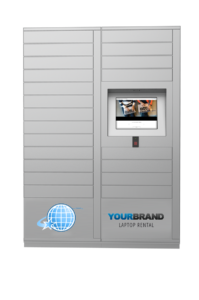 Meridian’s asset rental lockers securely store laptops, tablets, cameras, microphones, and more for convenient rental. When taking out a rental, employees are given the option to schedule their rental online, in-app, or directly at the kiosk-managed locker system. When the rental period is over, employees simply return the equipment to the secure locker.